Every year, Florida loses more children between the ages of 1 and 14 to drowning than any other state. The number of children annually who don’t live to see their fifth birthday in Florida as the result of drowning could fill four preschool classrooms. Swimming pool accident attorneys in Fort Myers take this issue gravely seriously, with the understanding that every single one is preventable. Owners of pools – whether at apartment complexes, public facilities or private homes – have a duty of care to those in their community – particularly children – to ensure that the pool and surrounding area is safe. This is true even in cases where the child is a trespasser or the owner did not know the child was on the premises. Florida has statutes that specify what measures pool owners must take in order to make sure the pools on their property don’t cause an undue drowning risk. These rules are codified in Florida Statutes Chapter 515. Violations are second-degree misdemeanors. In cases where a drowning or serious injury has occurred as a result of either a breach of that civil duty or a violation of statutes, a civil lawsuit may be appropriate in order to obtain damages for the victim and/or survivors. A Maryland case, Blackburn Ltd. P’ship v. Paul illustrating these issues was recently reviewed by the state’s highest court, the Maryland Court of Appeals. The claim followed the tragic near-drowning of a young boy who wandered off while playing with his older brother. He was just 3-years-old at the time, and he found his way into the gated pool area of the apartment complex where he lived. By the time they found him, he had been submerged in the water for several minutes. He survived, but suffered severe and permanent brain damage that will require him to receive around-the-clock care for the rest of his life. 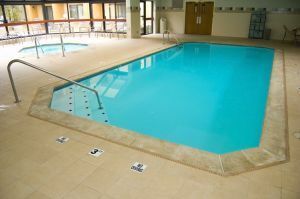 His mother sued the apartment complex ownership, citing a breach of duty to use reasonable care in maintaining the property, as well as failure to adhere to the state safety standards on swimming pools, which are similar to Florida’s. The defense countered that the child was trespassing in the pool area and that the more proximate cause of his injuries was negligent supervision by his mother. Initially, the trial court agreed, granting summary judgment to the defendant. However, that ruling was later overturned on appeal, with the appellate court finding that even if the defense owed the child a lesser duty of care due to his being a trespasser (which may not even be applicable due to the attractive nuisance doctrine), the fact that the defense had failed to abide by state pool safety statutes was enough of a basis to potentially establish negligence. –Self-closing, self-latching doors with latches no lower than five feet off the ground.